Go here for the French Revolutionary Wars in a Nutshell. 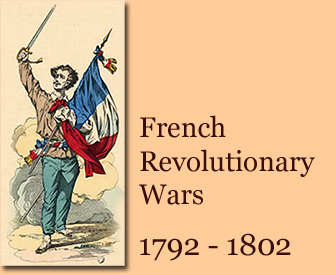 If these timelines of the French Revolutionary Wars are too detailed, check the French Revolutionary Wars - Key Events, which are a summary of the years 1792-1802. For events closer related to the Revolution see the Timeline of the French Revolution 1789-1799. Go here for the Napoleonic Wars 1803-1815. Battle of Rivoli. Part of the Italian Campaign. Bonaparte's victory over the Austrians. In Gibraltar, British Horatio Nelson gets news that the Spanish fleet is sailing direction Cadiz. The Siege of Mantua ends. 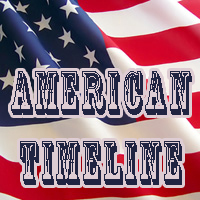 It had begun on June 4, 1796. Part of the Italian Campaign. Bonaparte's victory over the Austrians. Battle of St Vincent. British victory off the Cape of St. Vincent. Defeat of the Spanish fleet. Nelson is on the HMS Captain. 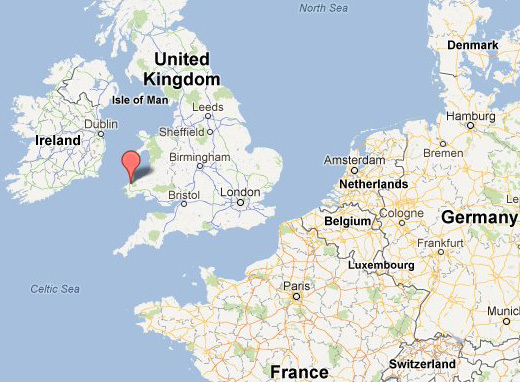 From Brest in Brittany, the French send another invasion force direction British Isles. The four vessels will land in Wales on February 22, 1797. 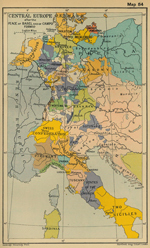 Treaty of Tolentino, or Peace of Tolentino, between Napoleon Bonaparte and Pope Pius VI. A small French invasion force of 1,200 men, led by Jean-Joseph Castagnier and William Tate, lands near Fishguard Bay. Their mission was to reach Bristol and to wreak havoc. The ships had started their journey on February 18, 1797. This event is sometimes referred to as the Battle of Fishguard. The French will surrender on February 24, 1797. The French landing near Fishguard ends in the unconditional surrender of the invaders to John Campbell, the Baron Cawdor, who lived just around the corner at Stackpole Court. It's Saturday and the second president of the United States, John Adams, delivers his Inaugural Address. Treaty of Leoben. Peace between Austria and France. The armistice is concluded with Napoleon only a hundred miles from Vienna itself. This is a preliminary treaty. French General Hoch defeats the Austrians, led by Franz von Werneck, at the Battle of Neuwied. François Noël Babeuf (communist revolutionary) is guillotined. The Ligurian Republic is set up. Napoleon creates the Cisalpine Republic, which will be confirmed by the Austrians with the Treaty of Campo Formio in October 1797. The new French Defense Minister is Barthelemy-Louis-Joseph Scherer. He succeeds Claude Petiet. Coup d'état of 18 Fructidor, year V.
Encouraged by Napoleon, the Directory eliminates the royalists from the government. Carnot flees the country and settles at Nuremberg, Germany. Lafayette and his family is released from his Austrian prison. He will go to Holland for two years, before returning to France. The Army of Germany is created by merging the Army of Sambre and Meuse with the Army of Rhine and Moselle. Commander: Augereau. Battle of Camperdown. Defeat of the Dutch (Batavian Republic) fleet. Peace of Campo Formio. Austria is forced to agree to the French possession of Belgium, the extension of the French eastern frontier to the Rhine, and the transformation of northern Italy into a French dependency. This is the end of the War of the First Coalition. France won. Creation of the Army of England (Armée d'Angleterre). Commander: Bonaparte. Desaix is commander (temp) while Bonaparte is on a diplomatic mission. The French had taken the lands on the left bank of the Rhine River. 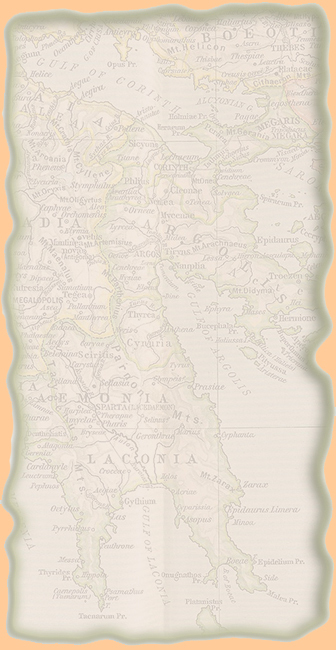 The Congress was convened in order to negotiate recompense for the German princes who lost these lands. These negotiations, however, will be unsuccessful. Negotiating for the Austrians are Metternich Sr., Metternich Jr., and Count Ludwig von Lehrbach. Imperial Plenipotentiary for the Kingdom of Hungary and Bohemia: Count Ludwig Cobenzl. Representative of the Swabian Counts: Count de Sickingen. The French ministers were Bonnier d'Arco and John Count de Treiliard. Bonaparte had left Rastatt before negotiations began. This congress formally opened on January 19, 1798. It will last until April 23, 1799. The Army of Germany is split into the Army of Mainz and the Army of the Rhine. The Army of Mainz (Mayence) is led by General Hatry. The Army of the Rhine is led by General D'Augereau.